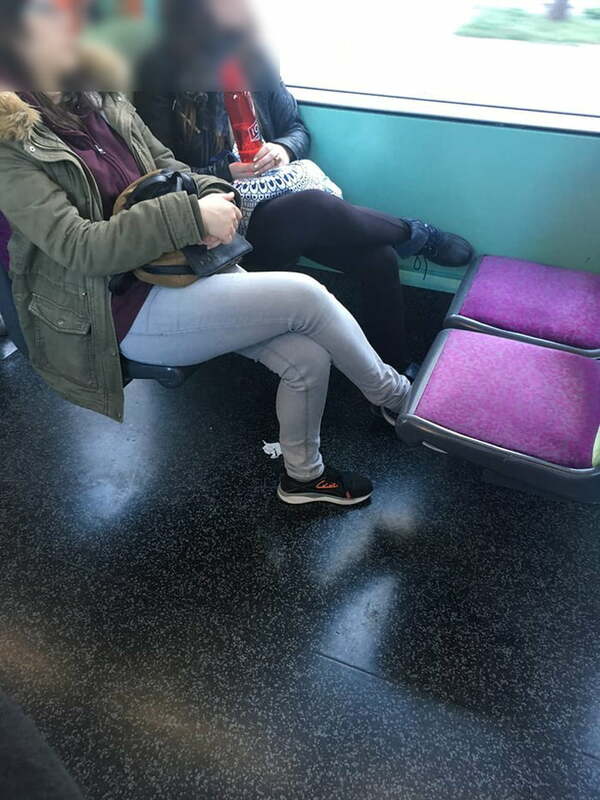 Another example of #WomanCrossing; when women cross their legs and take up the front seats space. I wanted to sit here, but instead of asking them to let me seat I created a hashtag on social networks because I'm a big, fragile victim. Posted on Thursday March 14th, 2019 at 07:15 pm.